GHRP-2 is one of the best stimulants somatropin (growth hormone HGH) currently, while the combination of GHRP-6 and GHRP-2 leads to a synergistic effect and even better the achieved level of GH. GHRP-2 significantly stimulates the natural production of the natural endogenous growth hormone in the pituitary. GHRP-2 is a synthetic ghrelin analogue. Like ghrelin, it stimulates release of endogenous growth hormone from somatotropes in the anterior pituitary; also like ghrelin, it is synergistic with endogenous growth hormone releasing-hormone (GHRH) as well as with synthetic GHRH analogues such as Sermorelin or GRF(1-29). Info: GHRP-2 (Growth Hormone Releasing Peptide 2) is a growth hormone secretagogue of the hexapeptide class. Sharing many similarities with GHRP-6, GHRP-2 is the first in this class of hormones, and in many circles, is considered the better choice between it and GHRP-6. GHRP-2 first acts as a Growth Hormone (GH) increasing agent. Comprised of six amino acids, the peptide functions by stimulating natural GH production along with the production and release of ghrelin. The release of ghrelin is important as it also aids in boosting GH release in the body. With GHRP-2, this is accomplished by the peptide suppressing somatostatin, a hormone that limits the release of GH in the body. As ghrelin is released, the body becomes hungry. GHRP-6 is well known for causing extreme increases in appetite, which may or may not be a problem depending on individual need or goals. GHRP-2 will release the same ghrelin in the body, but should not do so in a way that promotes such a significant increase in hunger. Some increase in appetite is unavoidable, but GHRP-2 does tend to have a far less impact on appetite than GHRP-6. In short, GHRP-2 aids in the promotion of natural GH production in the body, which carries with it numerous performance as well as health benefits for the user. GHRP-2 has demonstrated in labatory tests that it is very effective at stimulating Growth Hormone production. Most people will prefer to mix peptide with bacteriostatic water also you can mix it with sterile water or with sterile saline The only thing that will change with the differing amounts of water is the amount you have to inject to get a certain dosage. We recommend mixing 1ml of water per 2mg of peptide. Make vial temperature same as the room temperature, afterwards mix it smoothly using rotary moves (don’t shake) adding your preferred liquid. Try to not put liquid straight on the powder, better if liquid will flow through the walls of the vial. 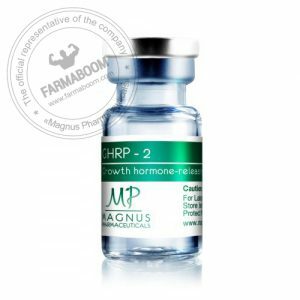 Growth Hormone Releasing Peptide 2 (GHRP-2) substantially stimulates the pituitary gland increasing natural production of the body’s own endogenous human growth hormone (HGH). 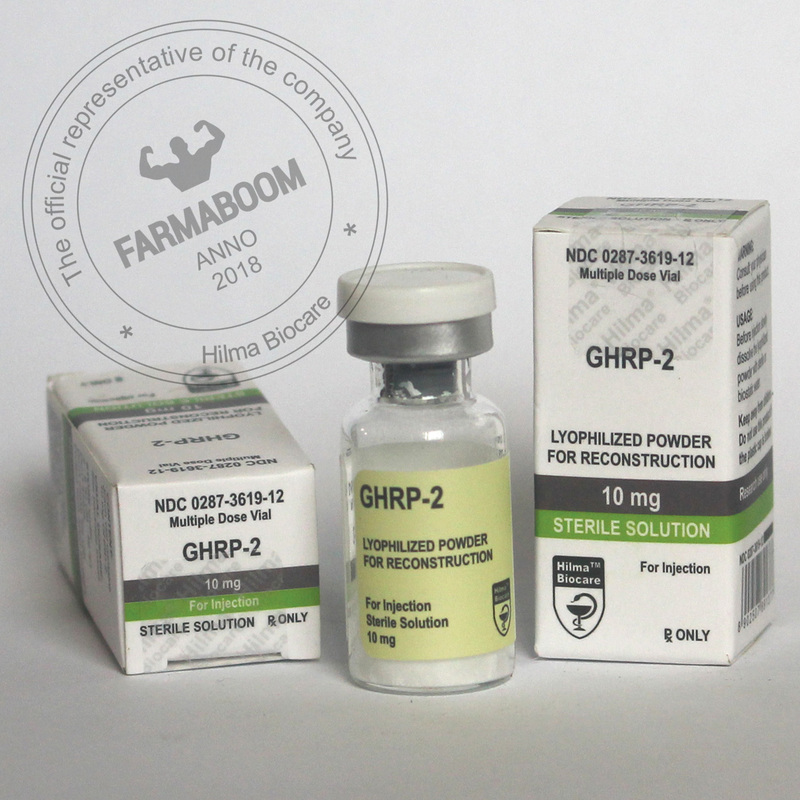 GHRP-2 has demonstrated in laboratory tests that it is very effective at stimulating Growth Hormone production. Usage of this peptide can come with elevated levels of cortisol and prolactin, especially if users are dosing in the higher ranges – over 200mcg/injection. Possible side effects like tingling, water retention numbness and decreased insulin sensitivity. Current peptide can be mixed with Growth Hormone Releasing Hormone (GHRH) such as PEG-MGF or CJC-1295 and others stimulators of growth hormone like arginine, GABA and glutamine.